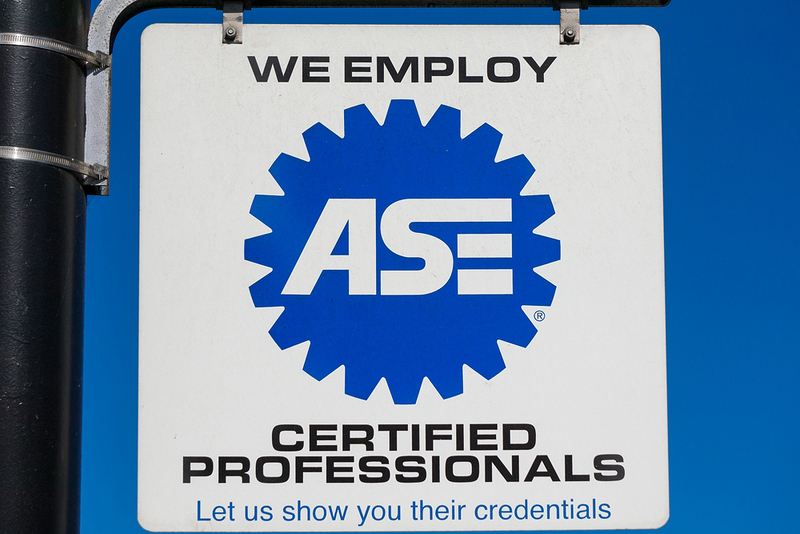 Automotive technician jobs pay more if you’re ASE certified. Get the study guide and practice test to be an A5 Brake Repair Technician. Becoming certified in your specialty areas is one of the best things you can do for your mechanic career. Not only does it increase your potential lifetime earnings, but it also makes you more attractive when searching for an automotive technician job. Both of these benefits make it a very wise move to study for and take the Automotive Service Excellence exams. There are more than 40 Master Technician certifications available from the National Institute for Automotive Service Excellence (NIASE or ASE). The A Series is made up of nine different areas of focus, and you must pass A1 – A8 (in addition to having at least two years of related work experience) in order to earn Master Technician status. The A5 exam covers Brakes. Of course, if you want to pass your tests, you’ll need to prepare by obtaining an A5 study guide and practice test. The NIASE provides free study materials for all of its exams. You can download the study guide for the entire series, A1 – A9, free of charge from either the main Certifications Tests page or the Test Prep & Training page. While the institute also provides practice tests for all topics, these are not free. They cost $14.95 each for the first two, and go down in price after, the more you purchase. The ASE practice tests work on a voucher system – you buy vouchers, which then provide you with a code that you use for whichever test you need. The vouchers are valid for up to 60 days. Keep in mind that entering a new voucher code on the same practice test will not alter the test – there is only one version for each area of study. The official ASE practice tests are half the length of the real tests. Once you complete the A5 practice test you will get a performance report that explains the questions you got correct and incorrect. In your search for A4 ASE study materials, you’ve probably run across third-party websites that offer preparation help or practice tests. The NIASE does recommend a multi-faceted approach to test prep; however, you want to do your research so you can be sure you’re working with a reputable company that will provide you with accurate and thorough information. The institute has discontinued all written testing in favor of computer-based exam administration. Year-round testing is available, and you may choose from days and times that are convenient for you – including weekend test times. One major advantage of this computer-based testing is that you’ll be able to find out how you did on the exam immediately. The A5 ASE test is comprised of 45 scored questions in multiple-choice form, along with additional unscored questions that are used for statistical data purposes only. There is nothing on the test to indicate which 45 questions will count, so do your best on every single one. Achieving your Automotive and Light Truck Master Mechanic Certification will validate your auto tech training and help you advance your career as a mechanic. Get started today by obtaining an A5 ASE study guide and practice test. P0970 means there is a discrepancy between the desired hydraulic pressure and the actual hydraulic pressure due to faulty solenoids. Q: What qualifications do you need if you are to rebuild an engine?